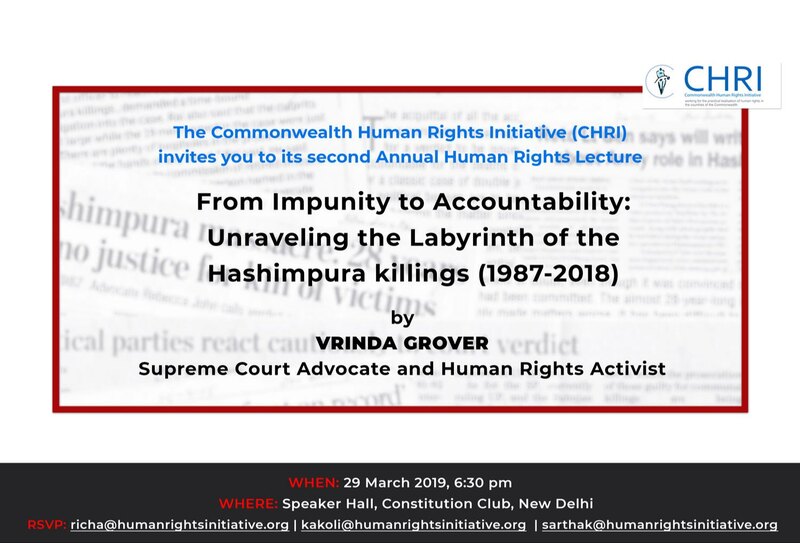 Ms. Vrinda Grover, well-known lawyer, researcher and human rights activist, delivered the lecture on "From Impunity to Accountability -- Unraveling the Labyrinth of the Hashimpura killings (1987-2018)." on Friday, March 29, 2019. CHRI's first annual lecture was delivered in March 2018 by Justice Madan B. Lokur on "The state of human rights and the limits of judicial remedy" last year and we are honoured that Justice Lokur has since joined our Board. We will soon be uploading the video of her speech.